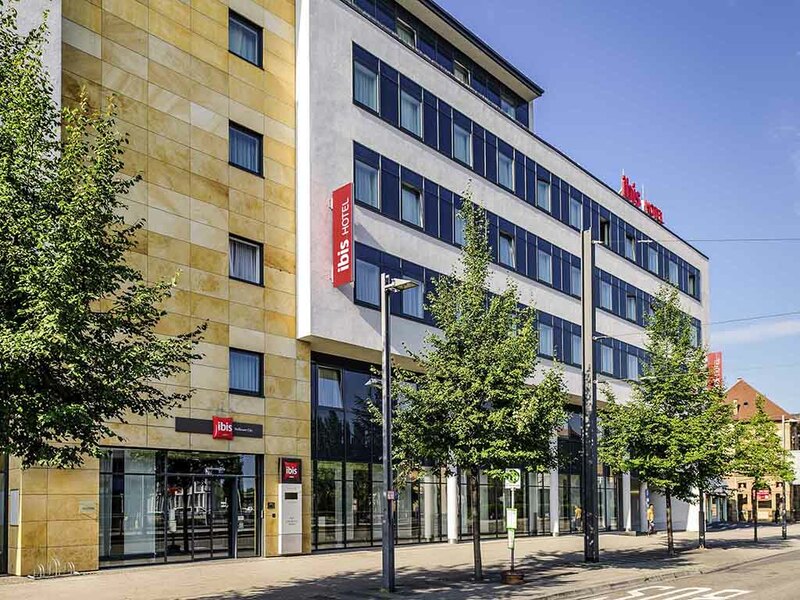 Ideally located for whatever you have planned and perfectly easy to reach: The ibis Heilbronn City hotel is approx. 328 yards (300 m) from the main train station. It's also just a short walk into the old town, with its wide range of shops. On your walk yo u'll cross the charming River Neckar, which is a popular attraction. A local highlight is the Experimenta science center. Our hotel has 95 air-conditioned rooms with wonderfully comfortable Sweet Bed by ibis beds and free WIFI. Reception is open 24 hours a day. Drinks and snacks are available 24 hours from the hotel bar. Indoor parking with max. height of 81 in. (2.05 m). Additional charge per car and per night. Easy to reach by public transport. 328 yards (300 m) from the train station. 5-minute walk to the city center. Scenic running and jogging route by the Neckar River. Free WIFI throughout the hotel. Premium WIFI available for an additional charge. TRAM S4 : TRAM S4 K.SCHUMACHER-PL. Our 95 rooms include individually adjustable air conditioning, free WIFI, TV with a wide range of Sky channels, and innovative Sweet Bed by ibis beds for the ultimate in sleeping comfort as well as a desk for your mobile office. Every day, we serve round-the-clock beverages and refreshments, hot drinks and tasty food. Crispy paninis are available in five delicious flavors, and can also be taken away! Live sporting events are shown on Sky.